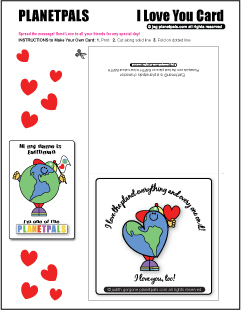 Planetpals Exclusive Holiday Card : I love You Valentine from Planetpals -- Make your own card. 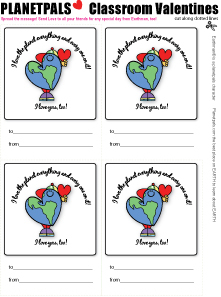 Send it to a friend "
Tell your friends "I Love You"
and let them know you love the planet and everyone on it, too! 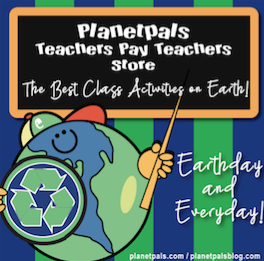 Planetpals is pleased to have so many friends and fans. We appreciate you every day of the year. Pick up this card from us to you and pass on GREEN---Send this card to a friend-or to all your friends! Save paper...Email this card to a friend ! Check out the Green Valentines Journal. A Guide to Ideas, tips, crafts, food and fun. Valentines, White Day, Whatever the occasion. After, Learn to say ILU in every language!